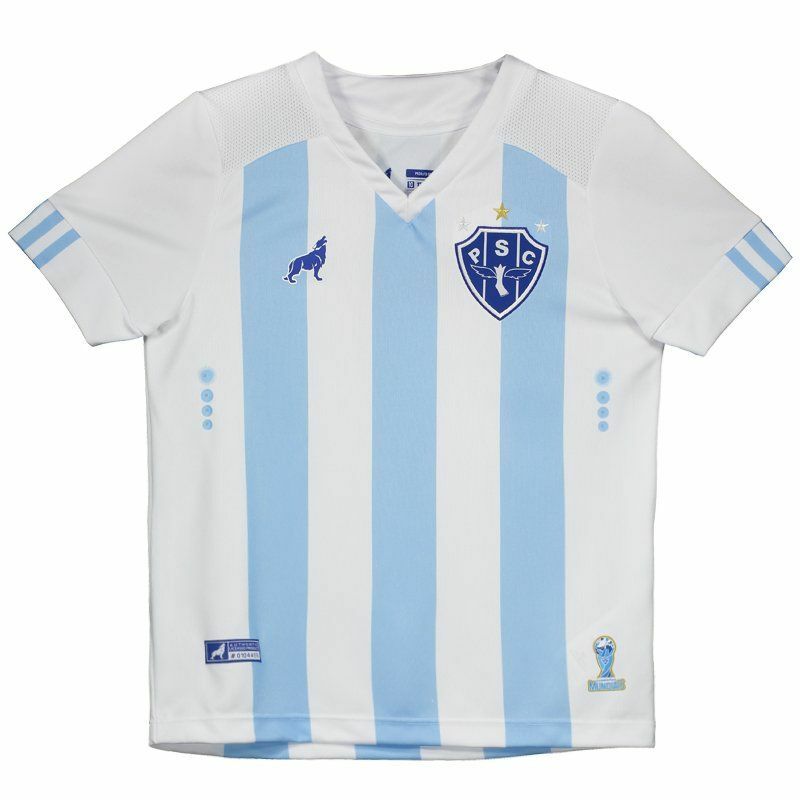 For the fans of the team to use in games and day to day, the kids home shirt of Paysandu for 2018 is the right choice. The piece is made of lightweight polyester with mesh and also features Lobo Dry technology. More info. For the fans of the team to use in games and day to day, the kids home shirt of Paysandu for 2018 is the right choice. The piece is made of lightweight polyester with mesh and also features Lobo Dry technology, which guarantees greater ventilation to the body, comfort and better performance during the activities. Its design is striped in the colors white and sky blue, besides the embroidered badge on the chest and the logo of the brand printed. In addition, the collar is V and the sleeves bring a fluted finish to the wrist. 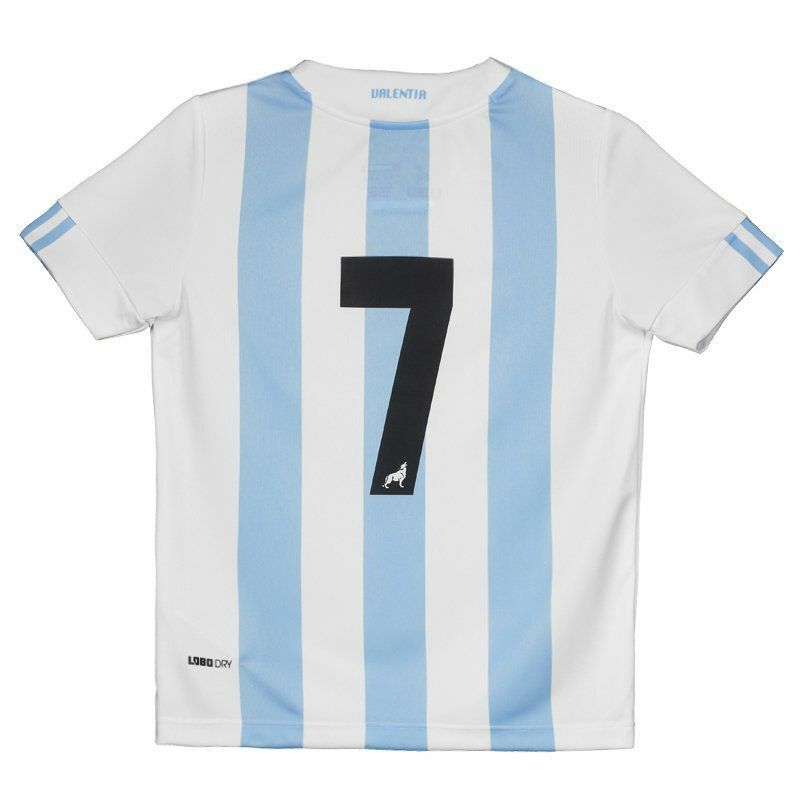 Finally, the uniform has number 7 on the back and offers name customization. Paysandu Sport Club is a Brazilian football club located in Belém, Pará. Paysandu is also known as Papão da Curuzu (or simply Papão, which means Bogeyman in Portuguese) because it won several titles in the 1940s and Curuzu from the name of the street where Paysandu's stadium sits.